A pool is a highly desirable feature for a home, but it takes a great deal of care to maintain. 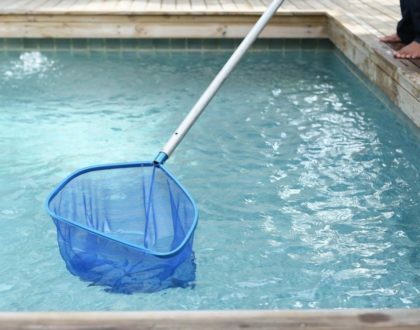 A poorly maintained pool can lead to costly repairs and can present danger to users. 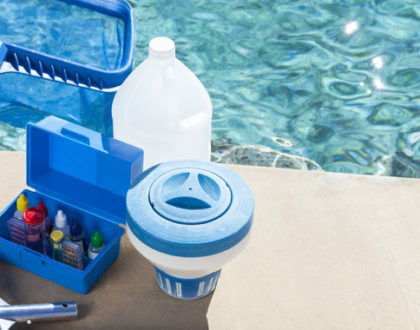 There are several common mistakes that can damage your pool equipment. Algae are a common and persistent problems for pools. Do not use your automatic pool cleaner to vacuum algae. It will clog and spew the algae around, possibly making the problem worse. You need to be aware of the importance of the pH of your pool water. A low pH indicates that the water is acidic. Acidic water is trouble. It can damage your heater, your filter and your pump, which can be costly to fix. Periodic testing is a good idea. The level of water in the pool is important. If it gets too low, it can result in damage to your pump and your skimmer. If you have an automatic chlorinator, be careful with pool shock (calcium hypochlorite, for example). If you pour it into the skimmer, the shock and chlorine will mix, which creates a dangerous gas and the possibility the chlorinator will explode. A common mistake is adding granular shock directly to the pool rather than mixing it with water first. The granules sink to the bottom. Over time this can make the liner become brittle and can cause leaks. Repairing the liner is a chore that can be avoided. Barefoot Pools advises that homeowners have their pool professionally maintained on a regular basis. To maintain a pool in top condition requires a good deal of effort and time. Homeowners may not always have the time available to properly maintain their pool and its equipment. This can lead to irregular maintenance or maintenance done improperly. Professional pool maintenance will prevent mistakes that can damage the pool and its equipment. Improperly maintaining your pool could be ruining its equipment! Consult your local pool care professionals.